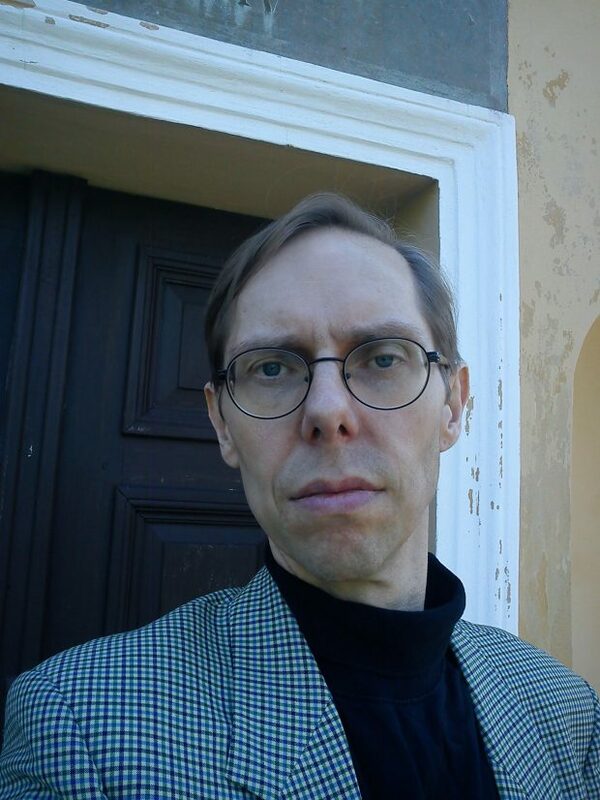 Born in the north of Sweden in 1965, Lennart Svensson took a BA in Indology in Uppsala 1998. He has written three fiction books in Swedish, the bios "Ernst Jünger -- A Portrait" and "Richard Wagner -- A Portrait" (2014, 2015). The newest book of this wonderful Swedish author is called "Borderline: A Traditionalist Outlook for Modern Man" (Numen Books, 2015). This information was taken from L. Svensson's blog Svenssongalaxen, and before printing a review his newest book, which is informative, interesting and innovative, i talked with L. Svensson (2016 02 23-24). When i read the name of Your latest book, which explores "traditionalist outlook" for "modern man", i though: is it possible? I mean, people have traditions, but anyway, modern man (i guess we talk not about tribes in Vanuatu, Amazon or Papua New Guinea), or possiblity post-modern man hates traditions and tries to create a new ones (even though he is repeating the old ones). So, is it compatible now, in 2016 AD, to talk about Eckhart, Plotinus, Sufis etc. when civilizations discovers Higgs' bozone, gravitational waves, makes photos of Saturn? This is a relevant question. What is ”tradition” and ”traditionalism”? I interpret the terms like this, thinking that if you, as I do in this book, present a world-view with some foundation in documents like Bhagavad-Gita, the Enneads, the Bible and Gnostic gospels, along with attitudes delivered by such luminaries like Rudolf Steiner, C. G. Jung and Ernst Jünger (the latter was a sort of informal esoteric teacher along with everything else he represented), then I guess it’s fair to say that Borderline is a traditionalist outlook. It speaks of holism in a time of general adherence to reductionist nihilism and materialism. This is traditional, this is a challenge to ”the modern” – and, as such, sorely needed. A lot of today’s pundits, even educated people, think that everything conceived before 1945 is irrelevant. And even if you have modern academics acknowledging the existence of Plato etc, of Esoteric Tradition, many of them tend to think that it’s merely a curiosity since all that exists is ”the death of the body and the decay of matter”. Therefore the traditional, esoteric worldview must again come to the fore. As such it won’t replace modern science, instead it will widen its conceptual outlook. Of the last aspect in particular, more in the Wordlist of Borderline where I under the entry ”School science” discuss paradigm shifts. How did you enter "the club" of those who are interested in traditionalism/perennialism? I did it when i met my late professor Algis Uždavinys. I began taking Tradition seriously when I studied Sanskrit in Uppsala in the 1990s. My teacher Klas Hagren (1953-2000) was a Buddhist and I personally lean more towards Theism / Sanatana Dharma (along with Western influences). And the curriculum was language studies, not about becoming a sannyasin, however, this was my foundation as for traditional studies, ending in a Bachelor of Arts. About Tradition as a concept I learned more in the 2010s when I surfed the internet and learned of the writings of Evola, Guénon and all that. In Your opinion, are traditions created by people only, or do You believe in any kind of higher substance, God, gods, superpowers, Demurg, Simurg etc.? I do believe in a Higher Being, God, the Eternal Light of which we as individuals are fragments of light, ”soul sparks”. If we acknowledge this Inner Light then we subsume ourself into the tradition of Eckart, Plotinos and Goethe. A tradition has to be nurtured and co-created by human beings in order to live. As for the question, if traditions are created by humans or higher beings, I’d say it begins in higher realities but the creation and keeping of a tradition per se is an interaction between higher and lower. For instance, to keep contact with that Inner Light you can meditate on such a mantra as I AM, a concise and rich conept which I also mention in Borderline. The name of Your newest book "Borderline" suggests that there's a border somewhere ("The truth is out there", as "X-Files" put it). Where? Are You talking about a real or an imaginary border between worlds, or border amongst people, or...? What is the main conception of Your book? The concept of ”Borderline” itself is ambiguous indeed. It symbolizes many things. First, it’s a border we may approach and go beyond, the border of human knowledge, of the material bordering on the immaterial and such. Also, it’s a concept from psychology, ”a borderline case”, which is a case specifically hard to define, a mix of many phenomena. I say it best in the Introduction of the book: ”I’m thinking of psychology where a ”borderline case” is a person with a diagnosis impossible to be covered by merely one label – so instead he’s classified as a borderline personality, being a mixture of ”schizophreniac, paranoid, megalomaniac” or somesuch. 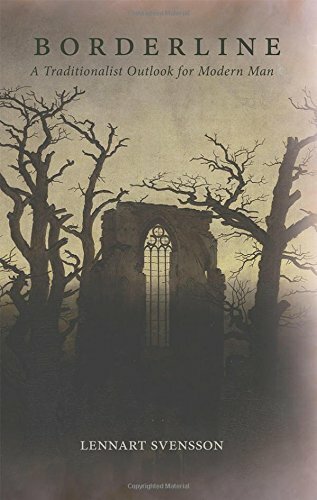 For a book like this, a philosophical essay, a study in integral perennialism, it might be a little odd to borrow a concept from psychopathology. But I have no taboos in that direction.” – My book is a ”borderline case” of philosophy, trying to unify God with Man, action with being, East with West, body with soul and reason with intuition. What are Your main inspirations in life and writing? I mean everything - books/authors, art/music, religion, spirituality, mythology, ...? My main inspiration is the land where I live, Northern Sweden and its endless coniferous forests, mountains and rivers. Along with this, I treasure literature in the form of fantasy and science fiction by western authors, as well as classics of the mainstream kind. In the realm of spirituality I like reading and re-reading Bhagavad-Gita, the Bible and Castaneda’s writings. As for artworks I enjoy ”almost everything” in Western and Eastern art from antiquity and on. Lastly, music, to me is a major field of recreation and inspiration. Here I like rock from 1955-1990 as well as synth music such as Tangerine Dream and Jean Michel Jarre, plus the classical composers Bach, Beethoven and Wagner. 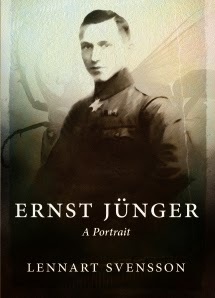 According to Your website http://lennart-svensson.blogspot.lt, one of Your books was about Ernst Junger, another - about Richard Wagner, also - a novel "Antropolis". It seems You like to choose strong personalities to draw their portraits. What is the modern man and what he must be? Are changes possible or this world is too spoiled and had forgotten so many good things? You could say, using the examples of Jünger and Wagner – although they are ”old figures”, dead and gone, by highlighting them I can show contemporary man that their lives and works can still inspire us. Wagner and Jünger both lived eventful lives, they both had to struggle to get their worldviews across – views of a predominantly traditional, esoterically founded kind. And we must not consider ourselves unworthy of them, not consider ourselves inferior to these men. There’s still artworks to compose, classics to write. Now, this may be a transitional era for mankind but, generally, I do believe that things will work out for the best. There are many Cassandras around today speaking of a looming world crisis – and OK, the world is in a troubled state but relying on our personal Will and Thought, assuming responsibility for ourselves as spiritual beings in a material coil, we will persevere and head for what Sri Dharma Pravartaka calls ”a coming Golden Age”. What is Your background as a writer, researcher? You mentioned studies of Indology and lots of authors. But, what was the beginning? When did You write/publish the first book, what was it about? Could You tell more about Your fiction book, novel? How many books did You write/publish? Alas, but i could not find anything about You in Wikipedia. My first book was published in 2007, in Swedish. It was a collection of short stories called Eld och rörelse (Eng. ”Fire and movement”), containing speculative fiction and magical realism. 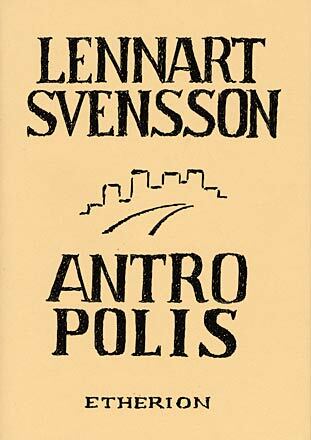 My next book was Antropolis (2009), also in Swedish, a novel about a city-state of the future, depicting a battle between science and spirituality, with art as the mediating factor. ”Head and hand must be united by heart,” as it were. The third Swedish fiction book of mine was Till Smaragdeburg (”Onwards to the Emerald City”, 2010), a reinterpretation of John Bunyan’s The Pilgrim’s Process, my novel being about a man seeking spiritual enlightenment by going from his native City of Steel to the beckoning symbol of the Emerald City in the distance, on the way meeting characters like Scientist, Adept, Traveler and such. My next two books were the bios Ernst Jünger – A Portrait and Richard Wagner – A Portrait, published in 2014 and 2015 respectively. I wrote them in English to get a wider audience. Then Borderline came out in 2015 too. As a Indologist You probably agree with me that now there's Kali Yuga, and it's a normal thing to those who know what and why it is. Anyway, modern man sees dangers everywhere and is afraid of everything. Why? Did he lose the connections with Tradition? The current age is one of materialist nihilism, Kali Yuga indeed, as such probably needed as a touchstone and education of souls. Everything happens for a reason. We come here to learn. The lesson is to look beyond our material needs and acknowledge our Inner Light. The proverbial ”Modern Man” has difficulties in this, still, in the pattern of current societies there are also people nurturing spirituality. We don’t live in paradise but it’s either not a uniform hell. Slowly but steadily we’re going forward. Modern man THINKS, he conceptualizes his world, today wrongly but soon it will be done right, for instance, by giving him educational tools like Borderline. – As for Kali Yuga some say that it will go on for a long time still, others say that it’s about to end. Although this is a moot point among Indologists, among people schooled in Tradition, I tend to favor the latter view, that of Sat Yuga about to dawn before our very eyes. This is what I see in my crystal ball. Very generally, despite the chaos shown on mainstream media, I think the world is going in the right direction. The Powers That Be may try to start WWIII but they won’t succeed. For instance, in Syria the Russian intervention, starting last year, is a turn for the better. I don’t support Putin in everything he does but in this case he protects order against chaos. Overall, there aren’t that many wars fought in the world today, the intensity and mere amount of wars is steadily going down since 1945. We live in a transitional age and I personally see the light at the end of the tunnel, even though the Westworld is in turmoil and a lot has to be done to rectify things, economically and politically, returning the world to sanity, justice and fairness. But it can be done. We have to engage ourselves politically, not succumbing to taboos of this and that kind. We have to take responsibility as free and mindful citizens. If we do this, the world can be saved. No, I don’t have a cat. Man's life is short. The border is always near. How can be a man educated in such a short period of time to understand the main things of life? Indeed, life is short. But any man can learn the two words, ”I AM”. Christ said them seven times in the Gospel of John (”I am the light of the world, I am the door into the sheep, I am the good shepherd” etc. ), as such a mirror of the ”I Am That I Am”-saying of God in the burning bush of Exodus fame. And if the individual does the same, says ”I am”, he acknowledges his eternal, divine nature, of being a spark of the eternal light. This I touch upon in Borderline and this is the succinct summation of my creed: I AM. Modern man, if he so chooses, can reach spirituality this way. The I AM-saying is my formula for a more spiritual life, taught to ”the man in the street”. You said "I AM". This is the formula of New Age movement(s), even the name of one of thouse movements which claim that they talk with Masters, Shambhala etc. etc. What do You think about New Age movement versus tradition? Or there is no versus? Perennialists support only traditional religions meaning that "real" Islam (Sufism, Shi'a mysticism), "real" Christianity (Coptic, Aramaic, as old as possible) etc. are "real". But, if someone from lots of Gurus (real or not real) is really a Master? What about it? For example, the same Junger, or Roerich(s), or some others? The one educating me about I AM and what it means was Rudolf Steiner, in the book Das Johannes Evangelium. He’s something of a ”new age figure” but as such he has a rich vocabulary, he’s not so easy to discard conceptually. On the other hand, the one thing setting you, as an eduated man, off from the New Age movement is the poor languge, the meager conceptualization and the constant repetition of ”love”. Love is needed but we also need willpower and drive, we have to take responsibility and show some ”dis-acceptance” towards nihilism, and this is seldom seen in new age texts. Their websites may sometimes be interesting to read, it’s a free world, but to really reach the depths of metaphysics you have to get to grips with Tradition, learning ancient languages and studying old documents. Julius Evola said that modern occultism may serve as a starting point for the serious seeker and that rhymes with my view – that of being skeptical towards New Age, however, not close the door entirely. – As for the reality of the New Age Masters, for instance, in the form of Ascended Masters, they were around before Madame Blavatsky and are reported by several sources. This, too, is Tradition: acknowledging Ascended Masters like Saint Germain, Djwhal Khul and Jesus Christ. Sweden is a very good country for those who love music (metal, rock, dark ambient, post-industrial) and books (writers are perfect). What could You say about its spirituality? What are its people? Sweden has a discreet but tangible strain of spirituality, seen in a figure like Swedenborg and in writers like Erik Johan Stagnelius, Viktor Rydberg, Verner von Heidenstam, Selma Lagerlöf and even some 20th century names. Today this strain is subdued but it can’t be totally eradicated, it will be resurgent in the coming days as it will be throughout the West, where official media today ignores or refuses spiritual artists. – From north to south Sweden is studded with churches, today not so very frequented but this will change. Maybe some Christian mysticism, some official recognition of Swedenborg will again fill the churches...? As for Swedenborg he actually happens to be buried in the national cathedral in Uppsala but this is a mere acknowledgment of his worldly greatness, he was famous and therefore he had to be buried in grand fashion, but the Lutheran church (which rules Uppsala cathedral) doesn’t acknowledge Swedenborg’s doctrines. That’s odd. – You could say: in broad day light the Swede is a nihilist but when twilight comes he loosens up and begins to talk about fairies, trolls and unusual happenings. Thus, I’m confident about the spiritual rebirth of Sweden. The foundation is laid since way back. What do You think about mythology? Mythology; I like to read about Greek and other myths (Celtic, Egyptian, Indian etc.). They mean something. Then, I also like 20th century fantasy literature (Tolkien, Moorcock) which sometimes plunder the old myths and legends for captivating scenes and symbols as such, stripping them of meaning. Still, a fantasy story may be an inroad to mythology and the Eternal Treasure of Tradition. As for Lithuania and Lithuanians I appreciate Marija Gimbutas who had an overall sane view of Indo-europeans of old, at least she didn’t reduce their existence into nothingness as some modern scholars do. I also appreciate the Lithuanian-American science fiction critic Algis Budrys (1931-2008). Returning back to mysticism. Let's say there's a hypothetical man who wants to know something about it. What would You recommend instead of wikipedia (even though it's not a bad tool)? What books are essential to read in a man's life? To get a literary inroad to mysticism would be to read the Gospel of John, the most mystical of the four gospels. Then I would recommend Bhagavad-Gita and the Upanishads; they captured my mystic imagination long ago and they still fascinate me. Then a look into the Gnostic gospels (like Elaine Pagel’s The Gnostic Gospels) could be revealing, giving you a wider sense of what Christianity is and could be. Then some overview of Jung’s philosophy, maybe even his autobiography, could come in handy. Then of course something by Ernst Jünger, specifically, I’d say, the novel Eumeswil from 1977. It’s not merely a book about mysticism but its strains of esotericism elevates the whole novel to a deathless artwork. It has newly been reissued in English. Are You already planning a new book? Fiction or non-fiction? Currently I’m rather much into fiction. I have several novels completed and for the moment I’m writing on an epic about the battle between good and evil. – However, as for my next book slotted for publication it will be non-fiction, Science Fiction Seen From the Right, an essay about 20th century science fiction and fantasy with a traditionalist angle, looking into what relationship authors like Heinlein, Herbert, Tolkien and Lovecraft etc. etc. had to eternal values like duty, honor, faith, courage, compassion, fidelity and self-restraint: http://manticore.press/2016/02/12/science-fiction-seen-from-the-right. Are there any international forums, conferences both physical and virtual about Tradition and other things that we are talking about? Or it's more a work of lone wolves as You probably are? Are You? Personally, I am indeed something of a lone wolf, happy with conducting my operation in the town where I live, Härnösand in northern Sweden. So I don’t frequent any forums or conferences about Tradition. Would You wish to prolong human life as H+ movement (transhumanists) offer, to continue Your researches, to visit more countries, to read more books, or is it better to follow the Nature's way? I don’t believe in transhumanism. Instead, to work out your karma you get the lifespan you need by natural means. And should your life be cut short you’ll get another chance in another life. – Transhumanism to me seems to be implicated in the ”Mensch Maschine” model, seeing man as a machine and not a soul endowed with a body.